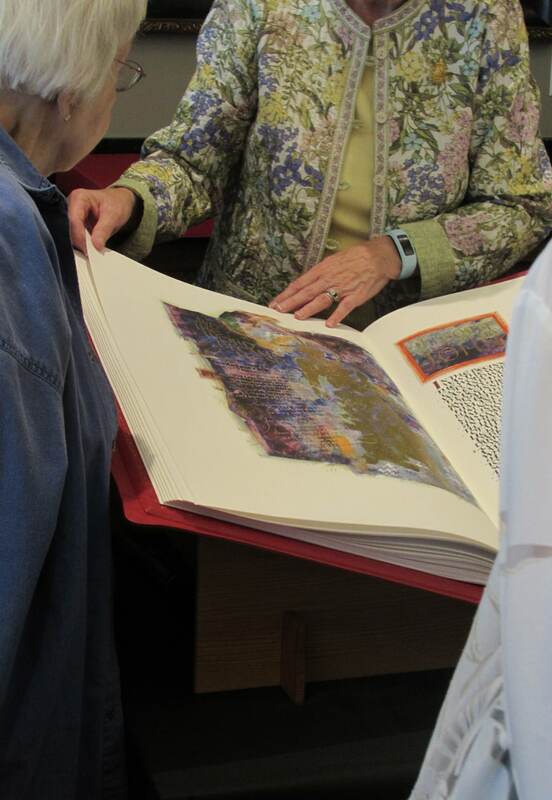 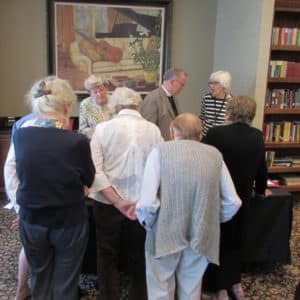 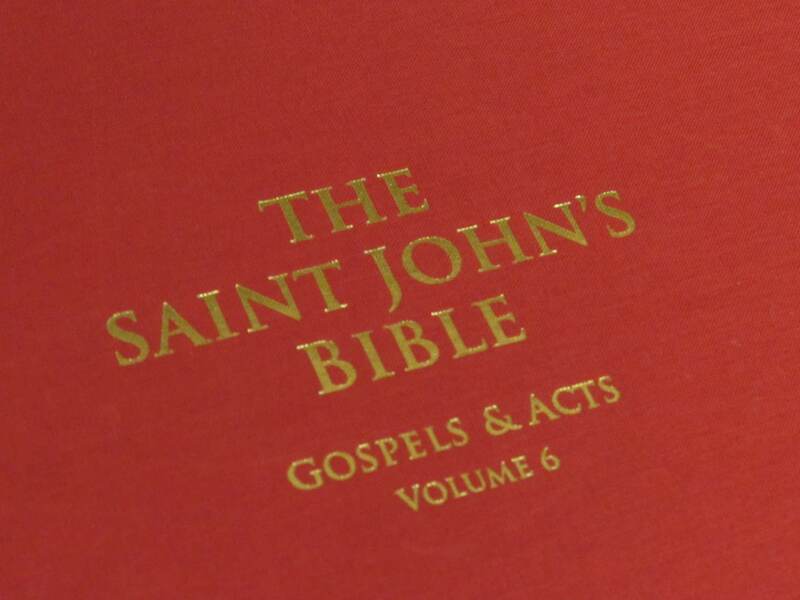 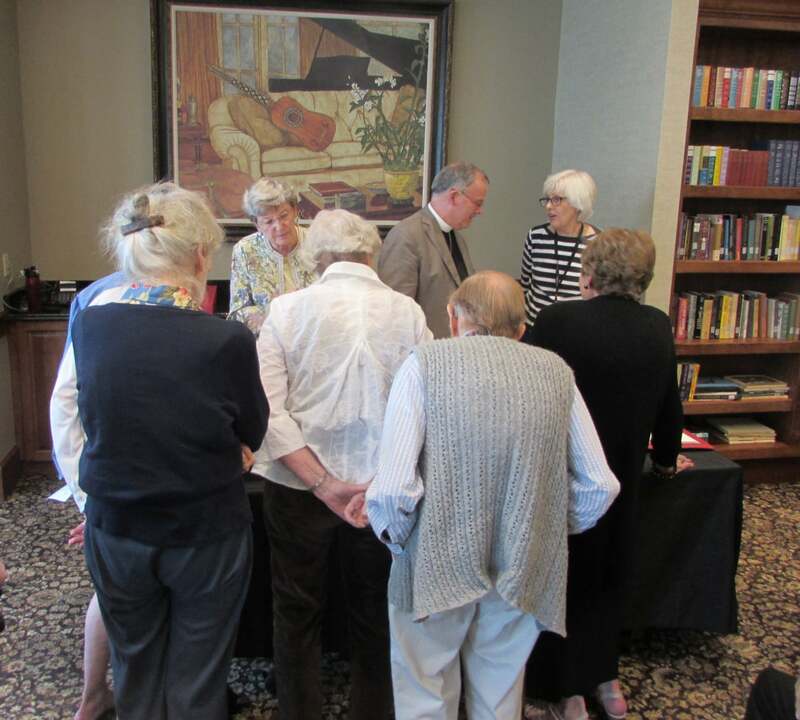 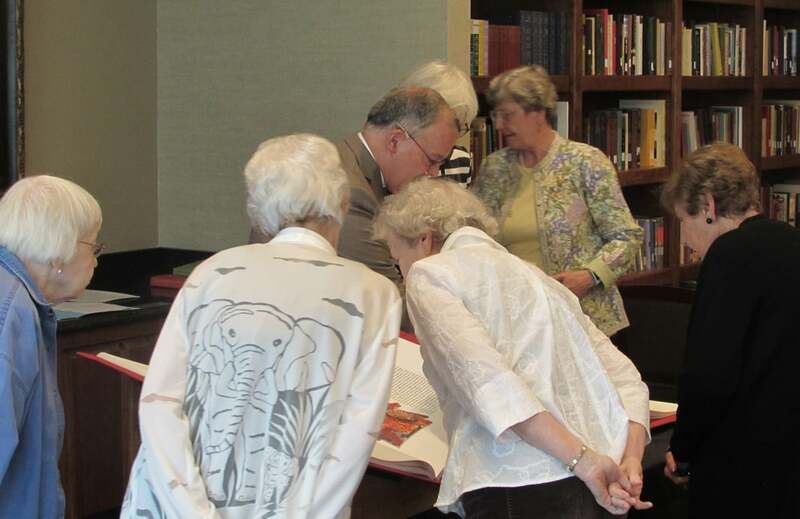 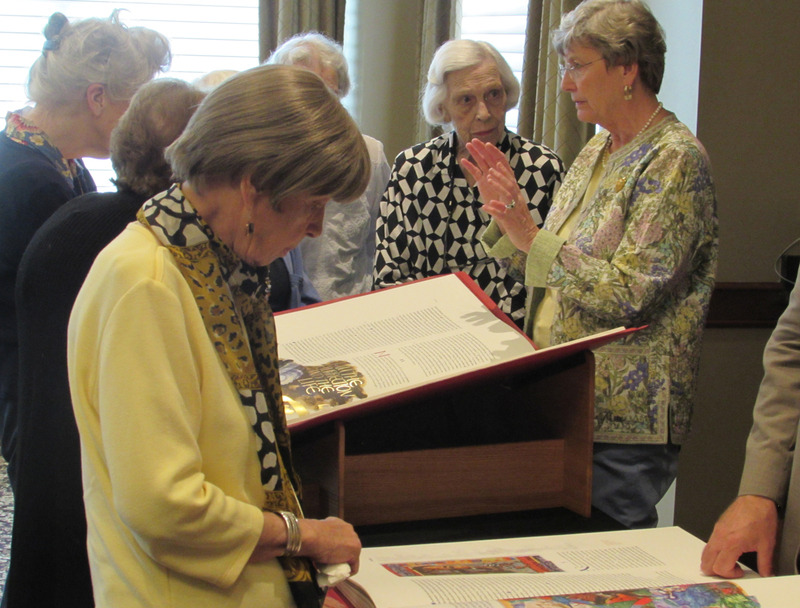 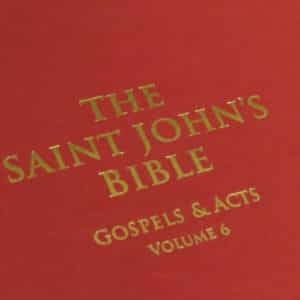 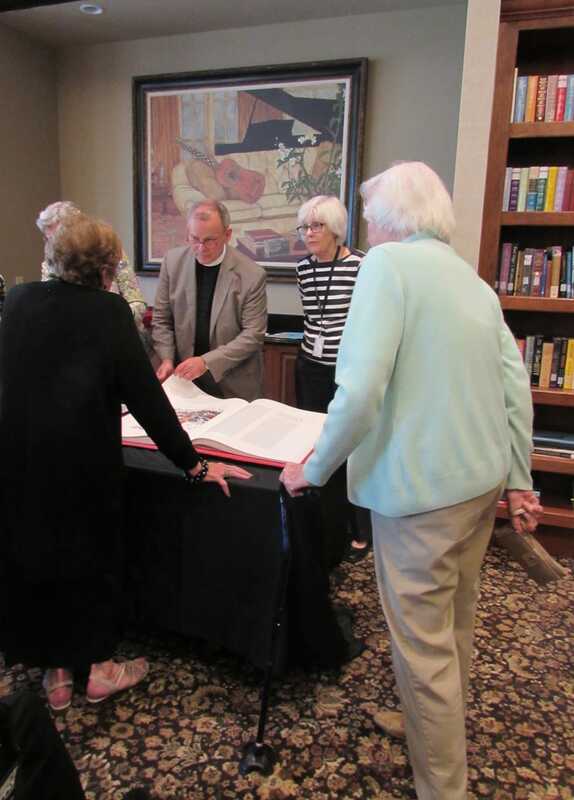 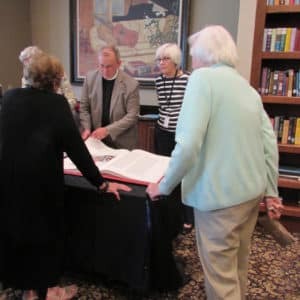 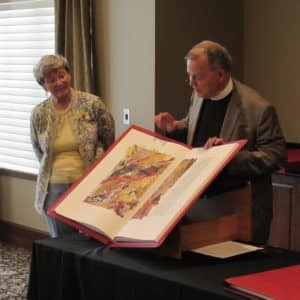 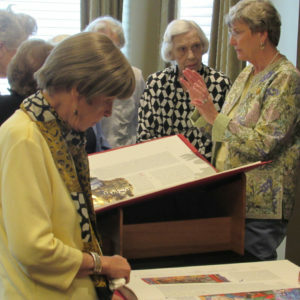 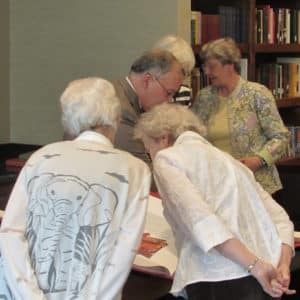 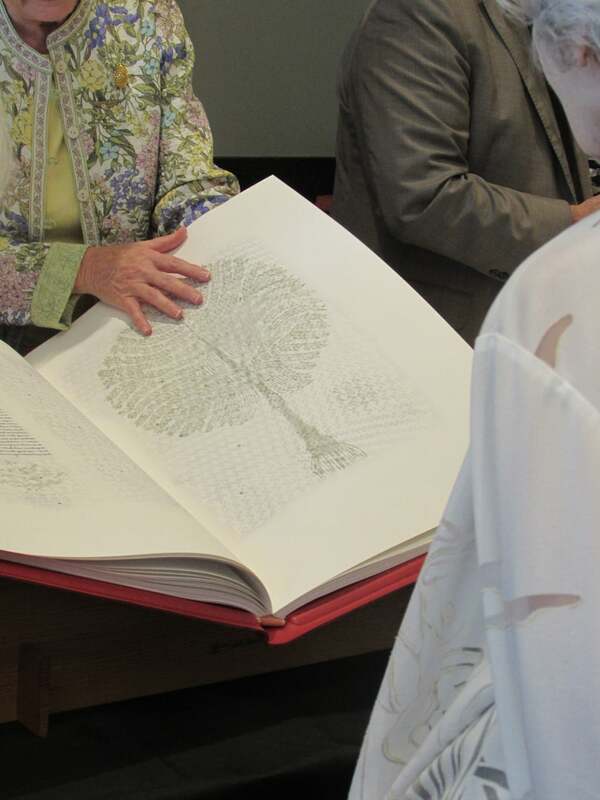 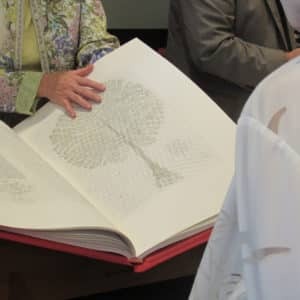 The Saint John’s Bible exhibit is on display at Grace and Holy Trinity Cathedral and the Very Reverend Peter DeVeau brought two of the seven illuminated volumes to BSP! 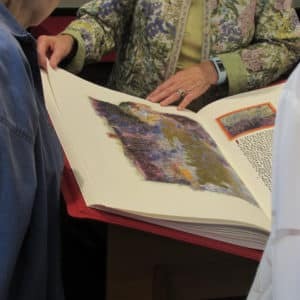 It was amazing to see and touch the first hand-copied manuscript of the entire Bible produced since before the Reformation. 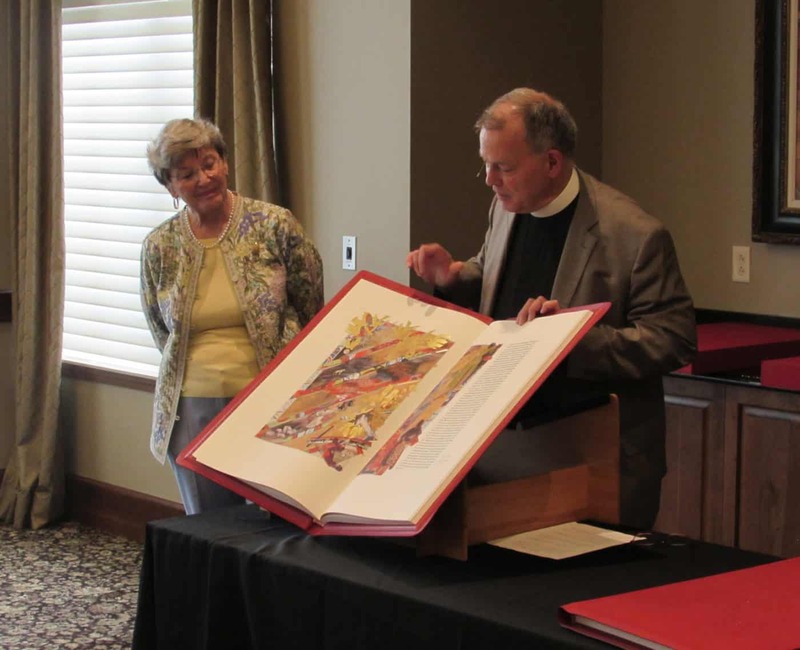 This lively artwork depicts the Scripture story interpreted in light of contemporary culture.